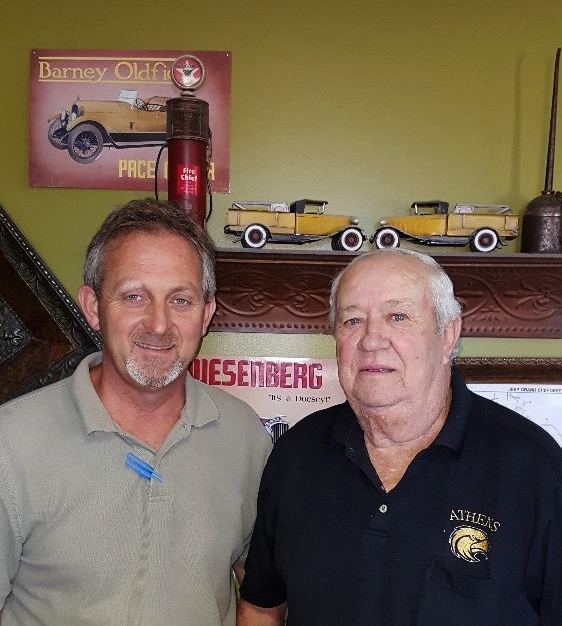 Herbert Sides established Sides Auto Body Repair in 1987 in Athens, Al. Originally started in a shop next to his home, Mr. Sides quickly outgrew the facilities and relocated the business to it's current location, where it has been for the last 25 years. Pictured above with Mr. Sides is his son, Darren Sides, who is the current owner. We are a family owned and operated business that is here to walk you through the vehicle repair process as seamlessly and with as little stress as possible. We believe in family, faith and tradition and as many companies are turning to voicemail, electronic correspondence, and less customer interface, we believe in face to face communication and walking you through the repair process. We believe communication is the most important facet of the repair process and work hard to build relationships not just through a business transaction, but personally with out clients. Herbert established a foundation we continue to build on and would love to have you become part of the Sides family by choosing us to help you with you vehicle repair needs.